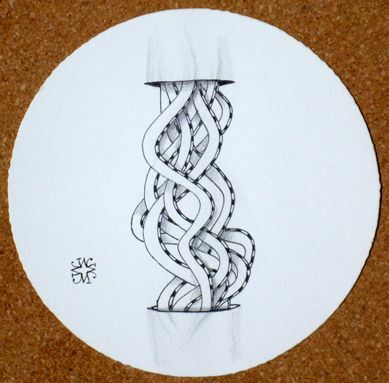 and a fun new tangle . 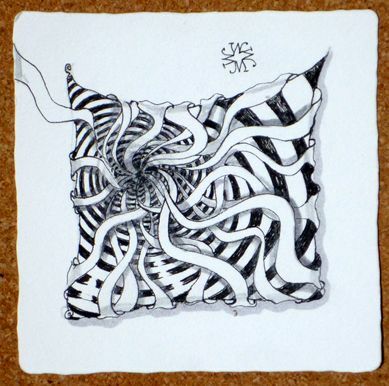 . . quib for you to enjoy. 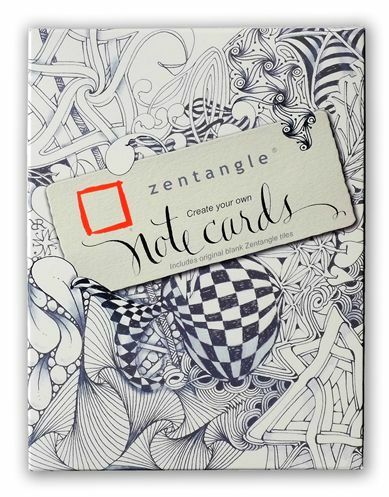 Zentangle Notecards are designed to celebrate and share the results of putting of pen to paper in a Zentangle way. 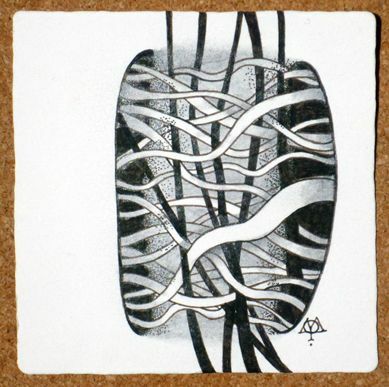 We want our products to inspire you to add your own creativity to them . 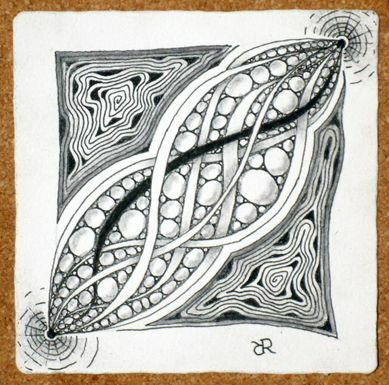 . . and that's just what our new Zentangle Notecards do. 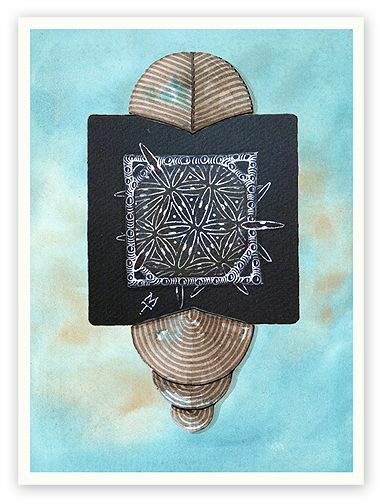 They provide a beautiful way to frame, share, and display your own unique Zentangle tiles that you create. 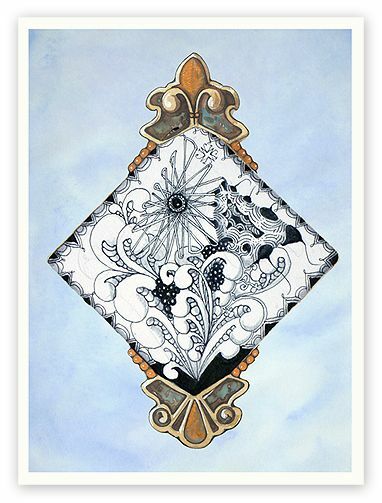 Zentangle Notecards are also an elegant way to frame and display your favorite Zentangle tiles! 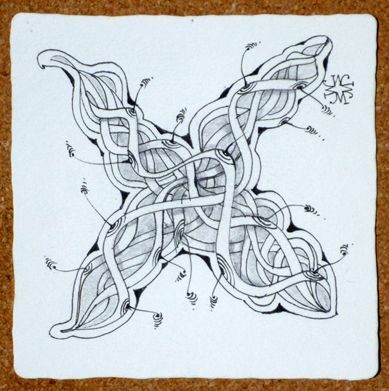 This is a beautiful way to show and share your Zentangle creations! 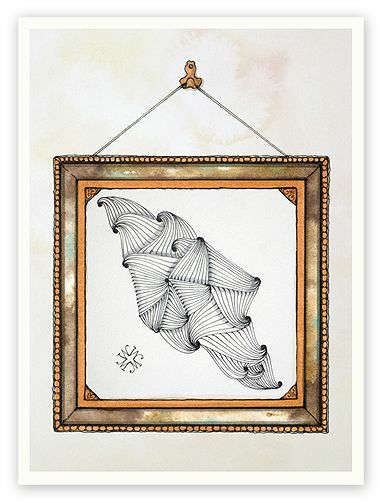 Quib . . .a sensual and dramatic mix of hollibaugh and aura-ing that enjoys being shaded and mixed in tangleations! 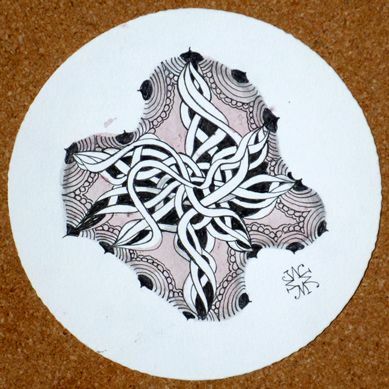 Maria colored that last Zendala by dipping her brush directly into a perfectly ripe strawberry! 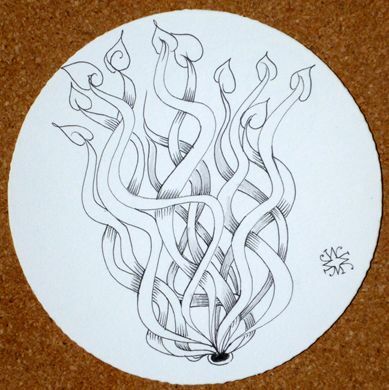 This tangle's name is shortened from our original idea which was to name it "quibble." 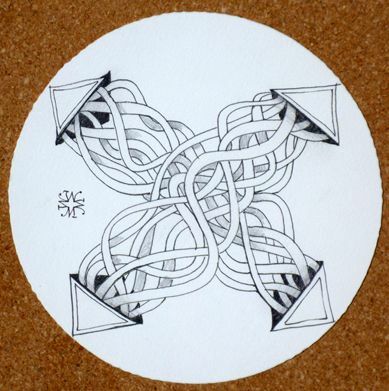 Quibble is another word for "splitting hairs" which seemed appropriate for this tangle. 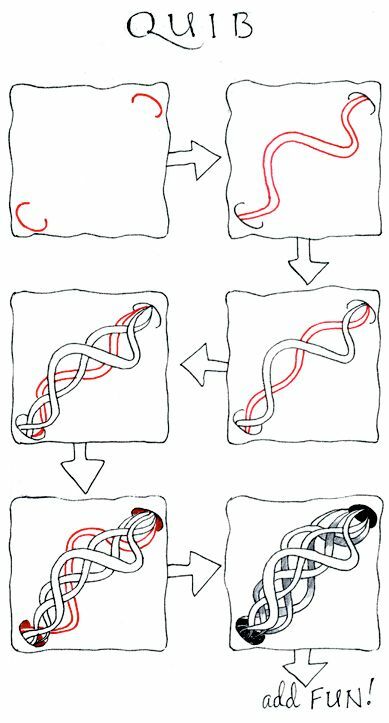 However, "quibble" was so close to quipple (another tangle name) that we decided we needed a different name. So, we shortened it to quib to keep the original reference. 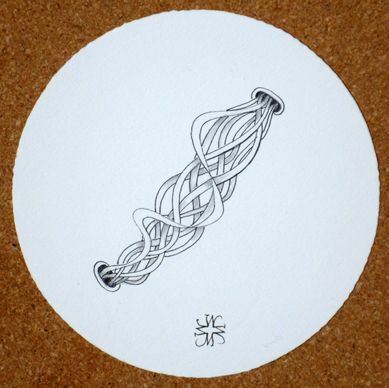 We look forward to seeing what you create with quib. 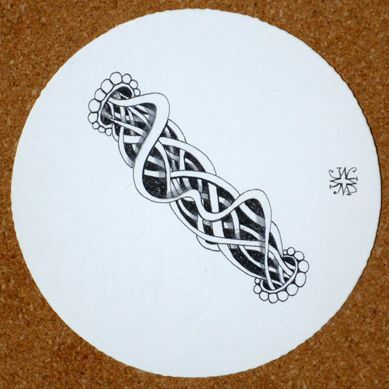 If you are interested in becoming a Certified Zentangle Teacher (CZT) please see this newsletter for details of our 2014 schedule and this link for more information about a CZT seminar. We haven't had registration open for that long and already 2014 seminars are more than half full and the first June seminar is almost completely full. If you are planning to attend, please register in time to reserve your place. 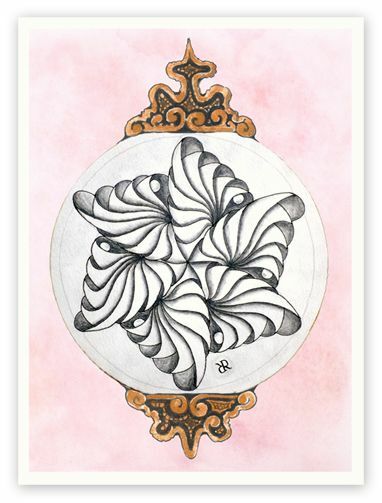 Thanks again for this opportunity to share with you the fun and creativity that is inspired by this Zentangle Method. Anything really IS possible, one stroke at a time.